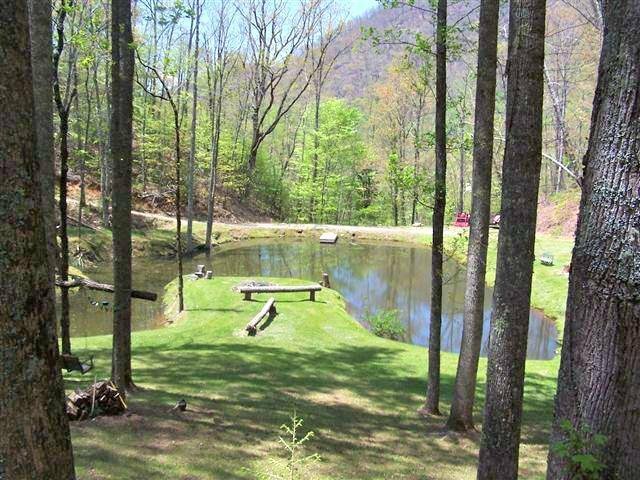 It's all about being outdoors & nature at this picturesque setting. 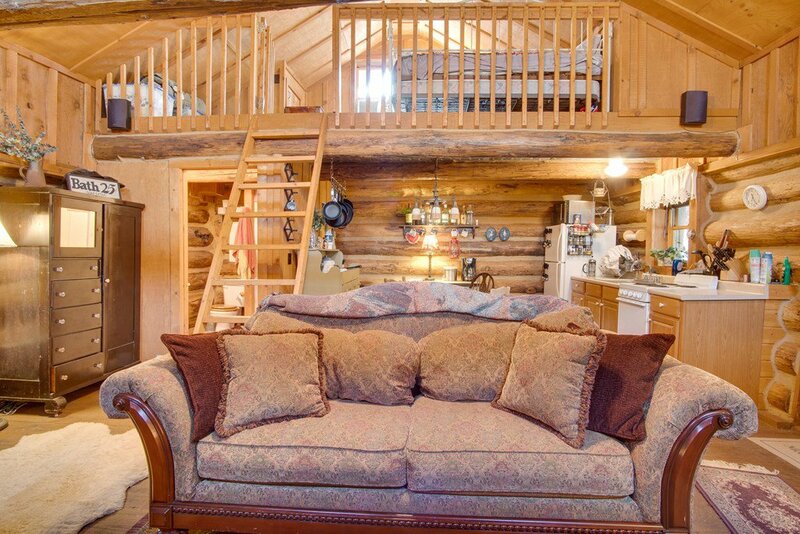 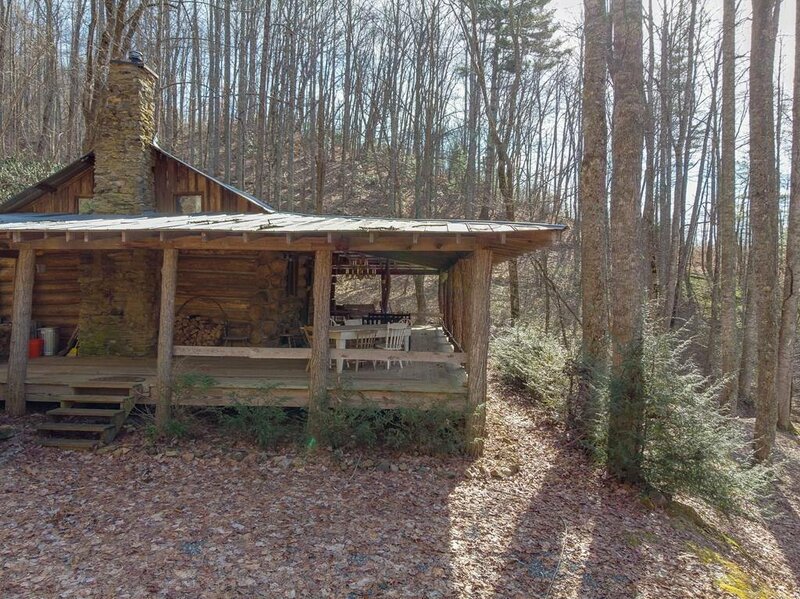 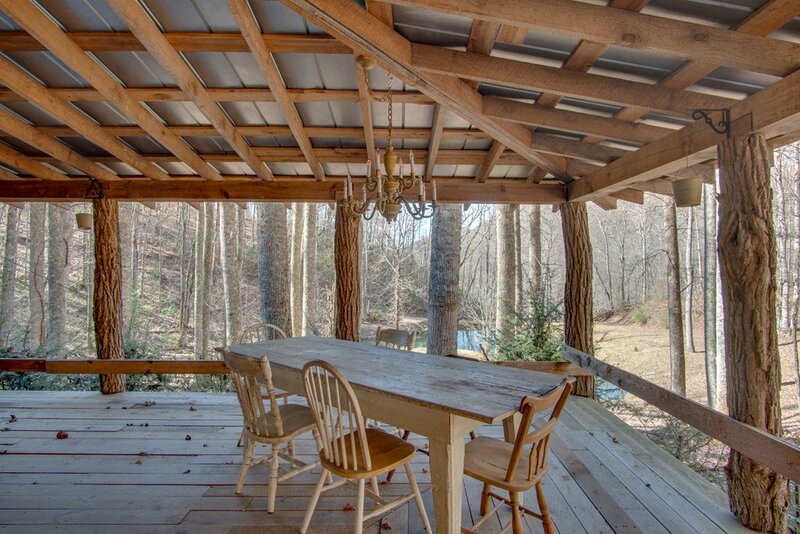 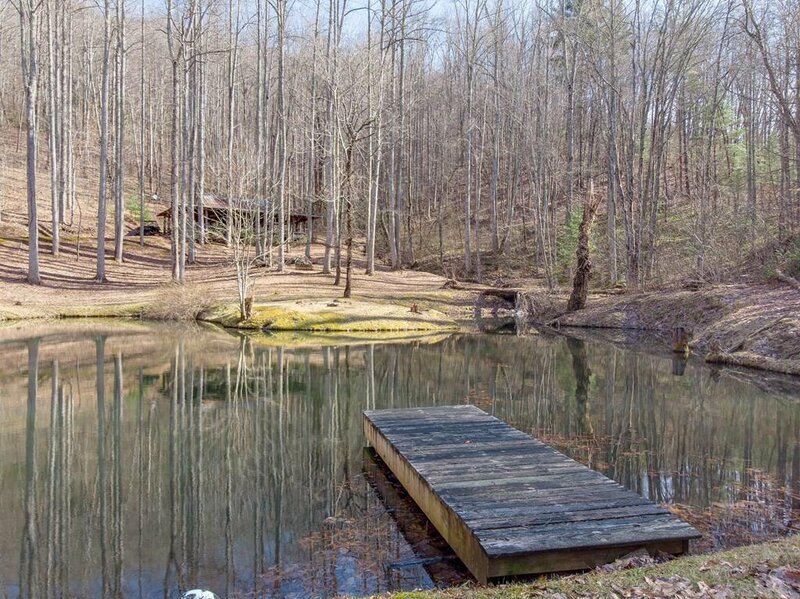 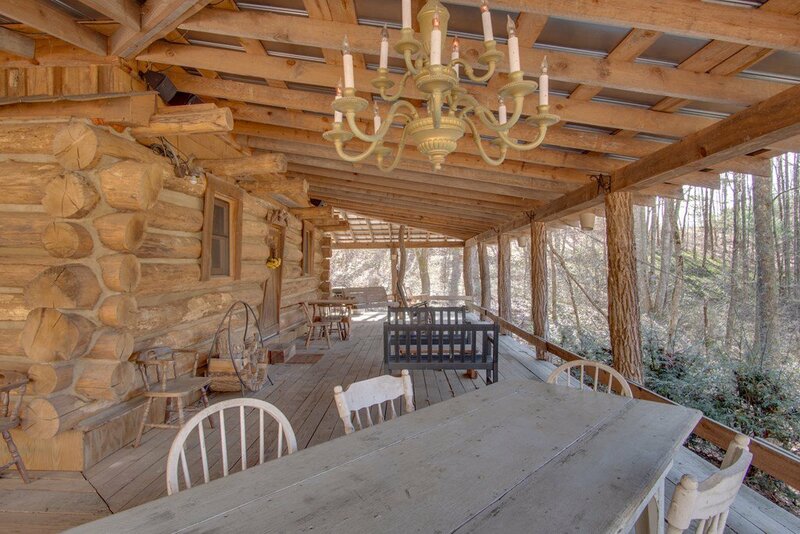 A Rustic log cabin overlooking the stocked fishing pond that's fed by a crisp mountain brook. 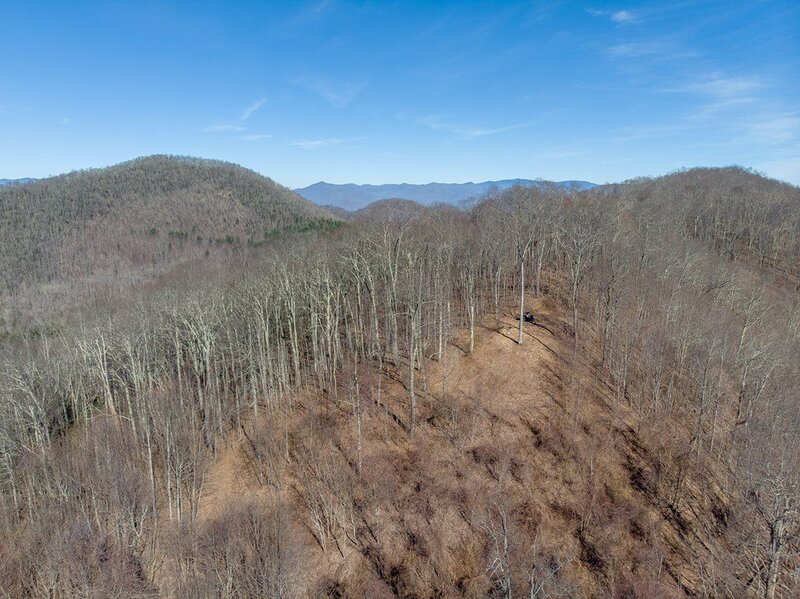 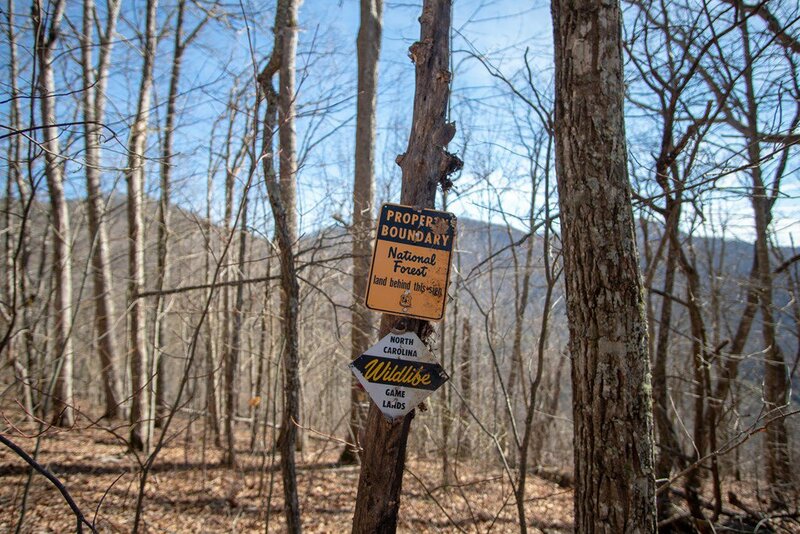 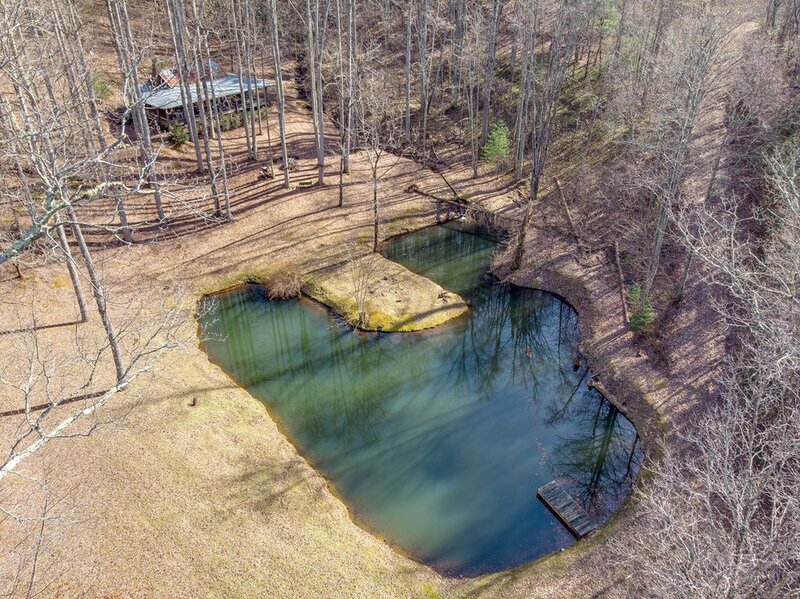 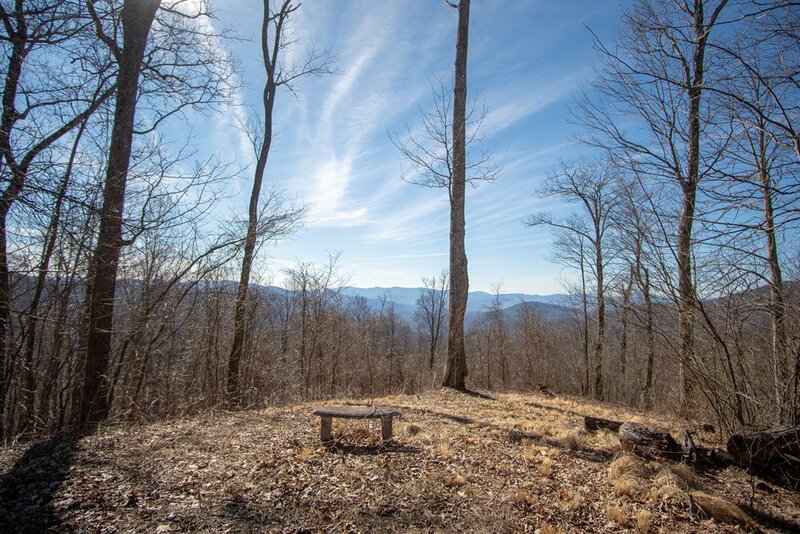 48+ acres of adventure surrounded on 3 sides by National Forest. 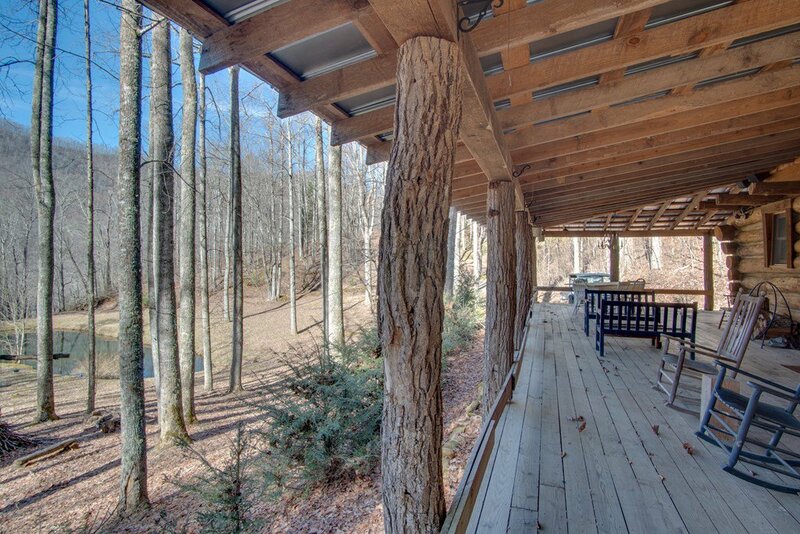 This unique Cabin is designed for fully enjoying the outdoors w/ 13ft decks on 3 sides with plenty of room for outdoor seating, eating, entertaining, etc. 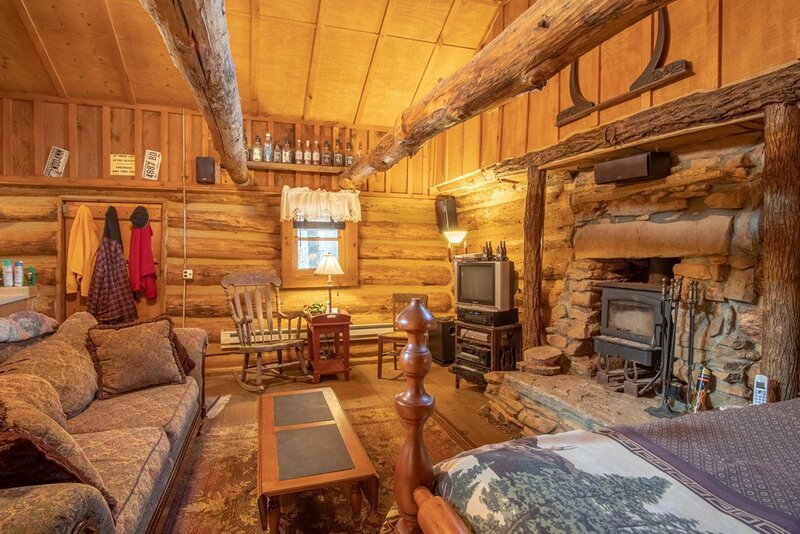 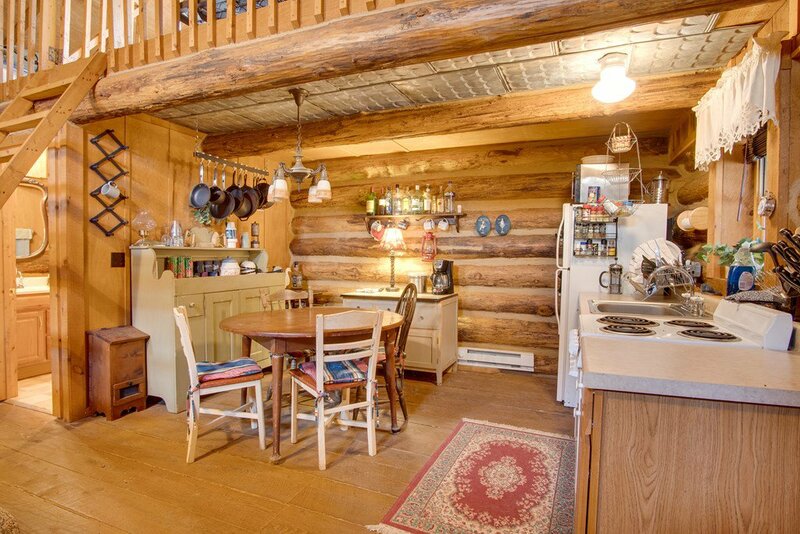 Head inside to camp out, cook, sleep and relax around the cozy wood stove. 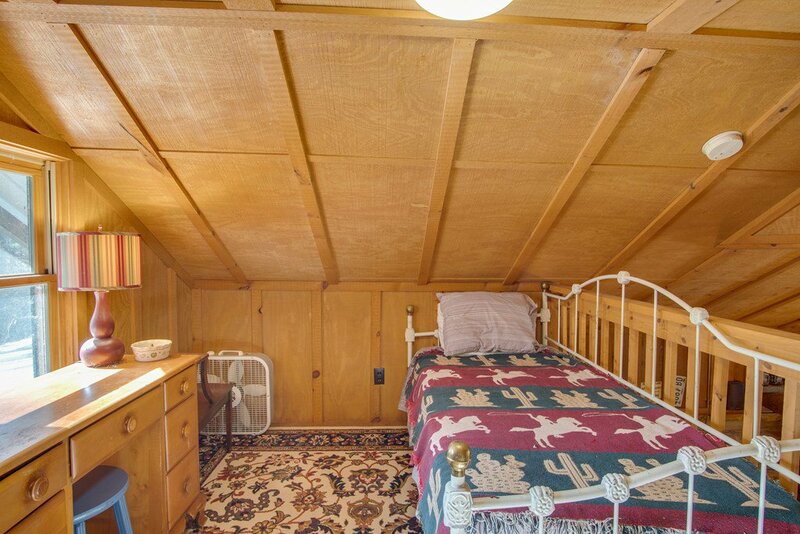 Inside has all modern utilities that sellers already invested in... electricity, water, phone, septic are all available. 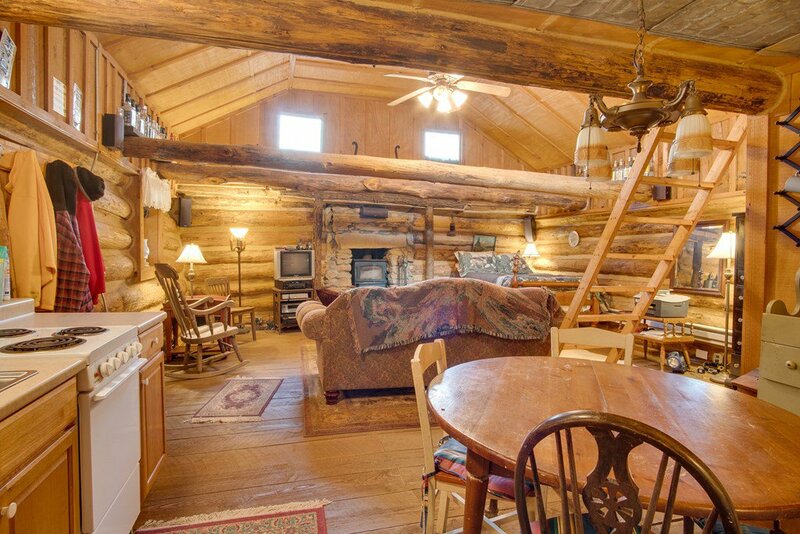 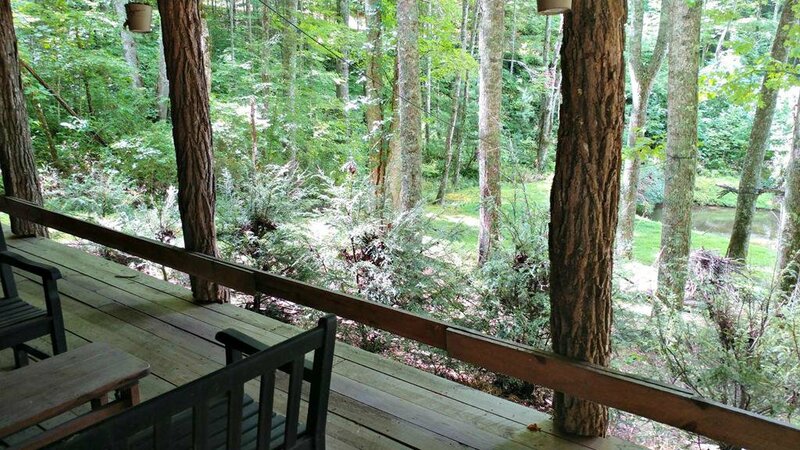 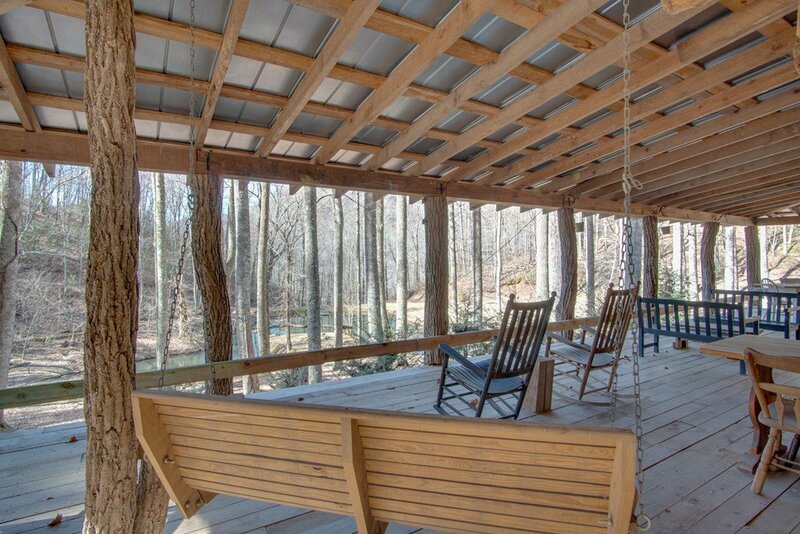 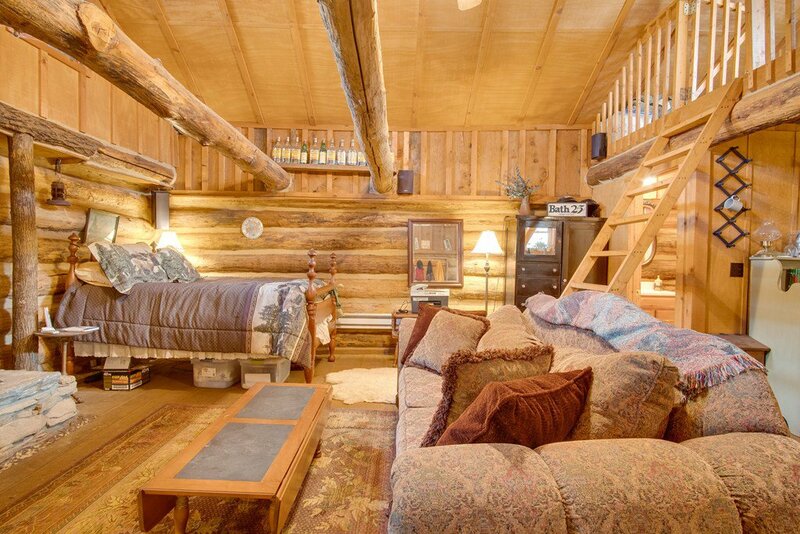 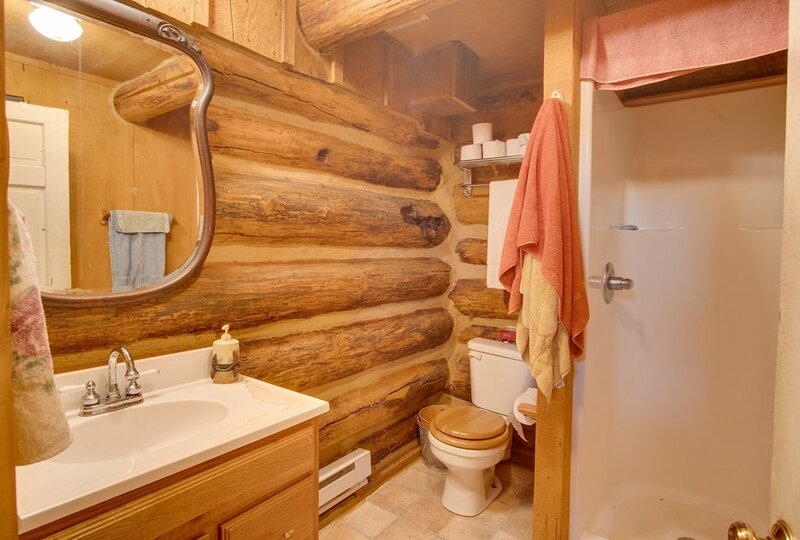 This cabin and property are suited to enjoy the outdoors to the fullest with the comforts of modern living. 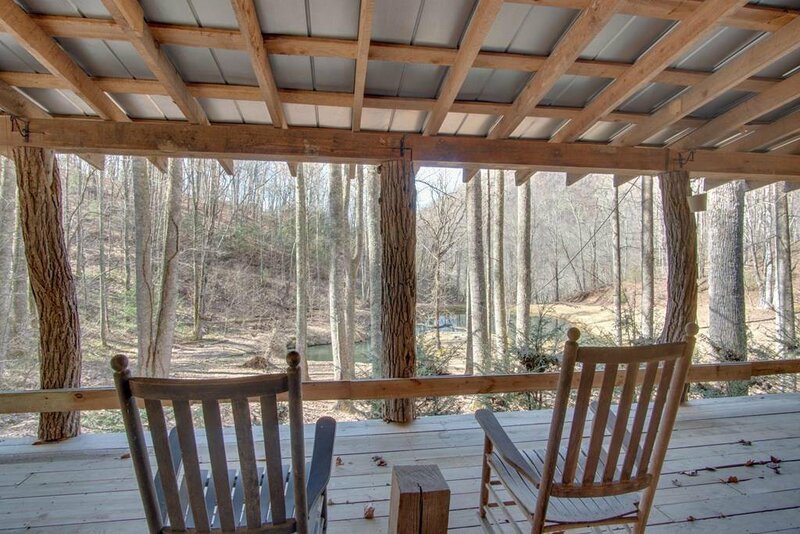 Get away from the day to day and relax in the Great outdoors. 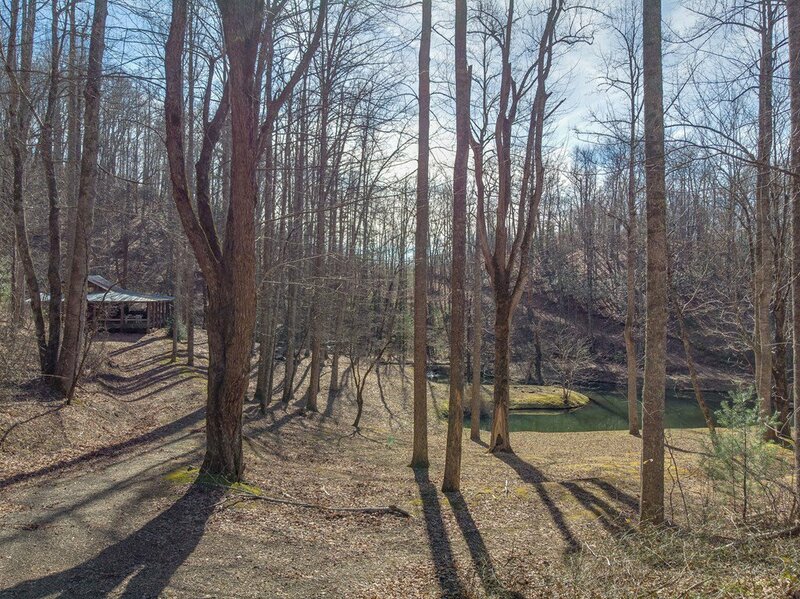 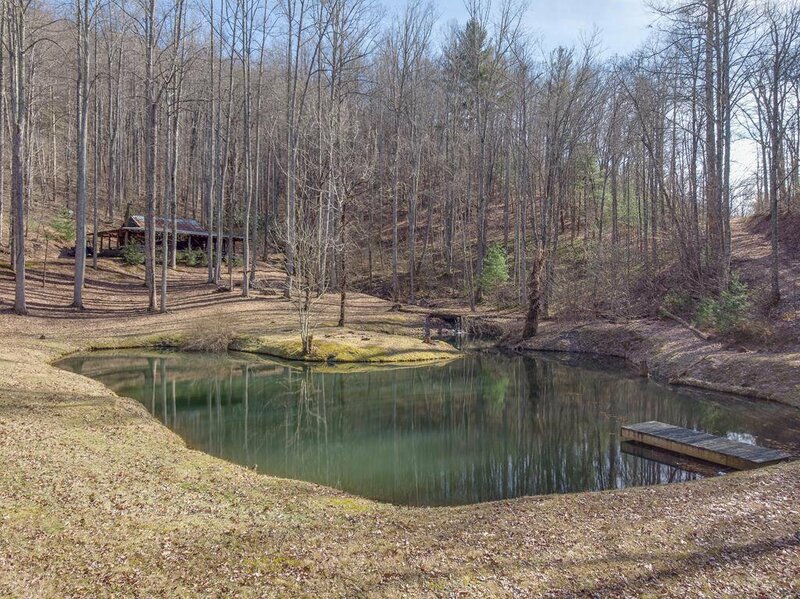 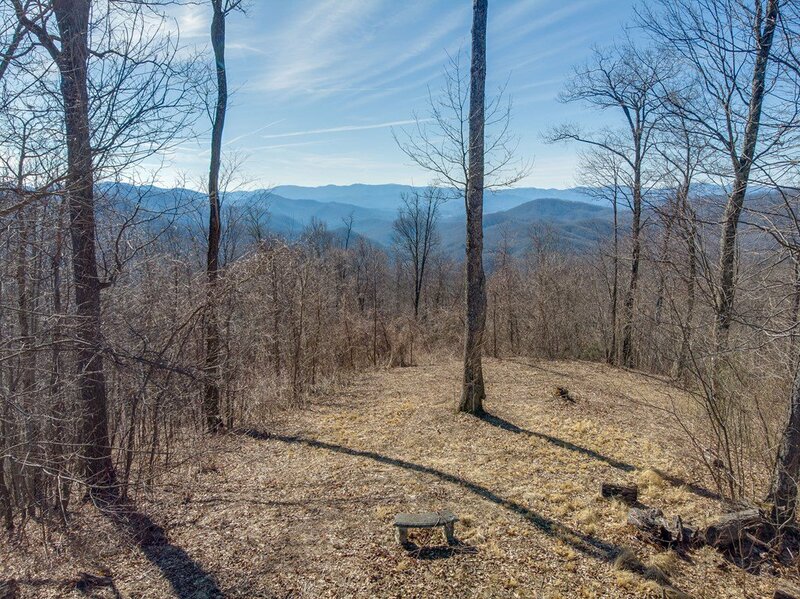 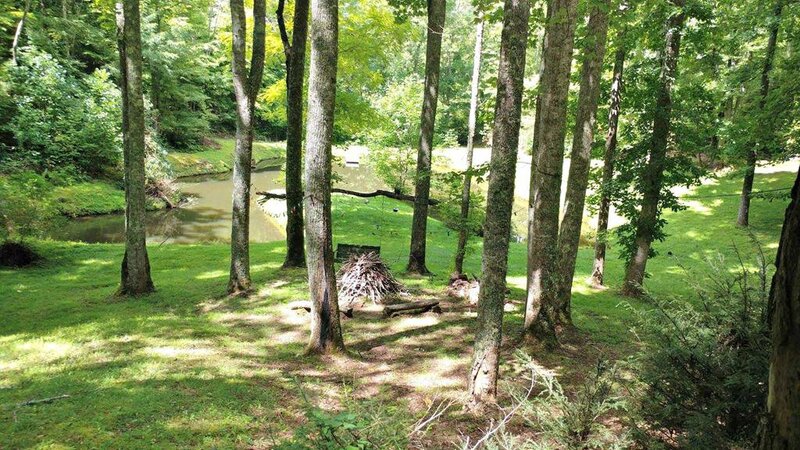 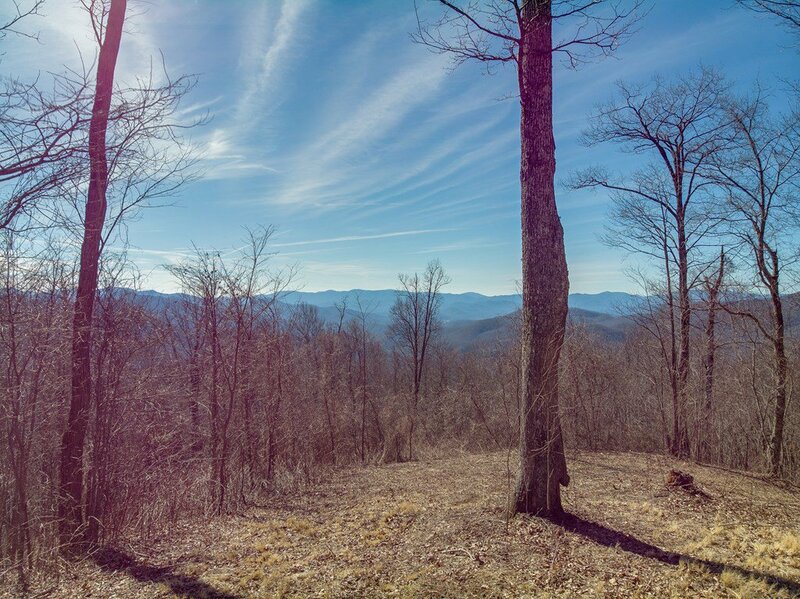 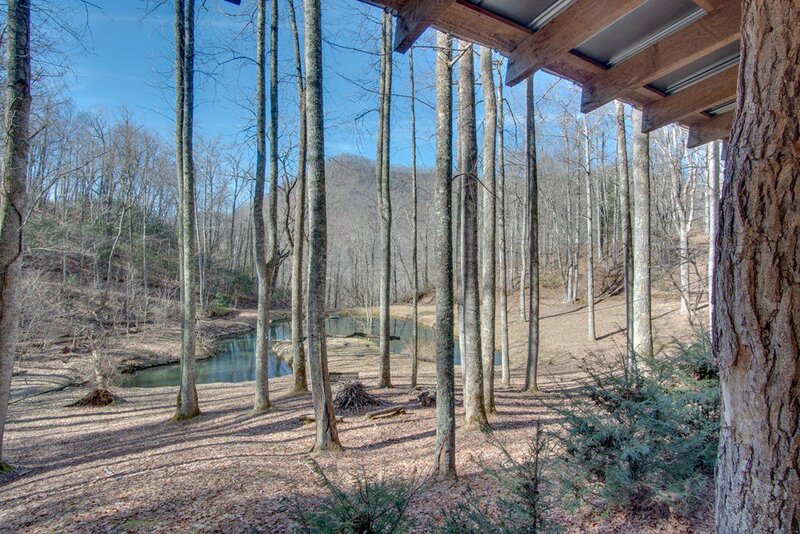 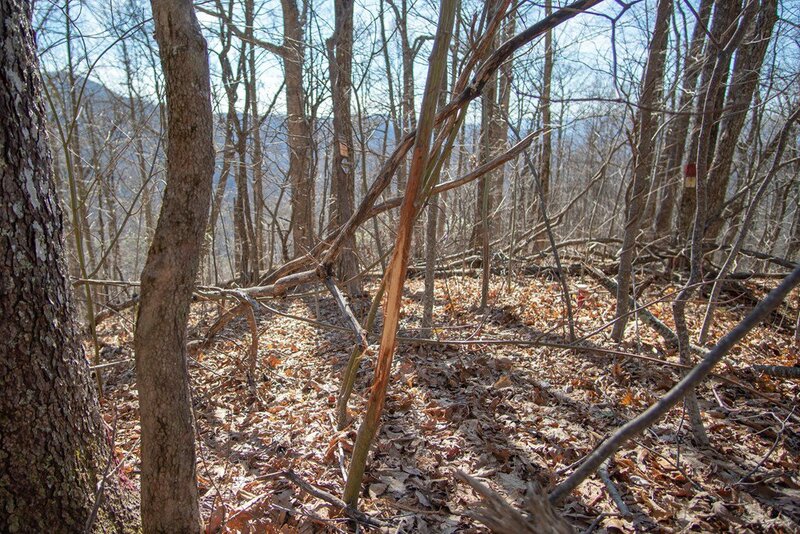 Hiking trails, stream, beautiful land to horseback ride or ATV with 48+ acres to explore. 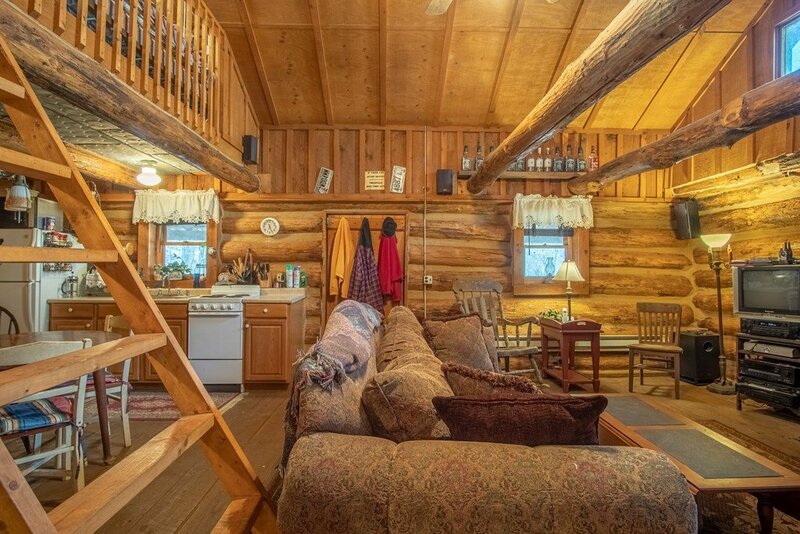 Cabin being sold as-is.